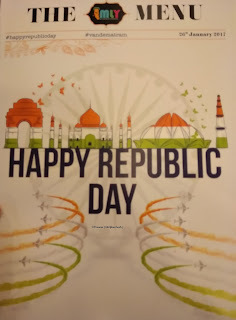 Republic Day has various perceptions associated with it and that differs from one person to another in India. 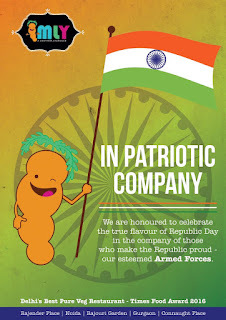 Such a perception thus brings along with it, varied interpretations of the associated patriotism. 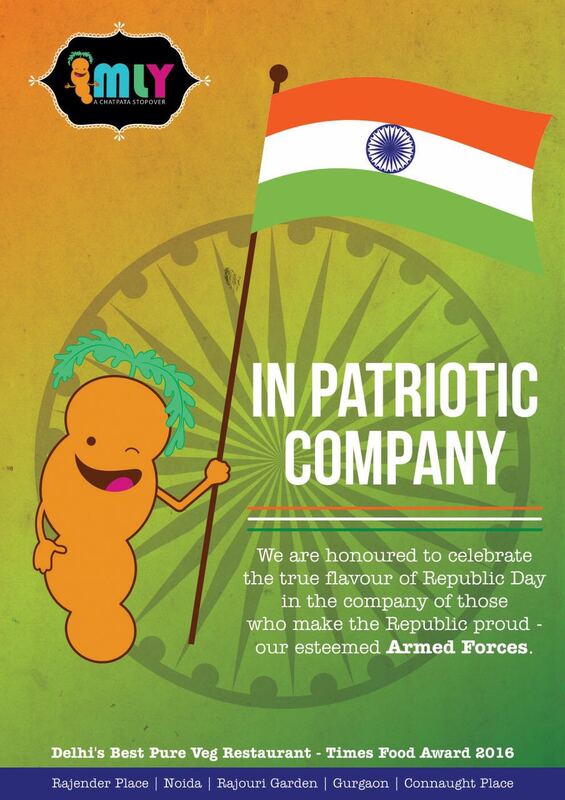 This Republic Day, apart from watching the R-Day Parade live on television, I decided to celebrate with Imly's love for food and a sense of service to the nation, by inviting servicemen from the Armed Forces for lunch. Even with the rain trying its best to play spoil-sport, I made sure that I would at no cost miss the Imly train at Rajendra Place that plays its part as a Chatpata Stopover. 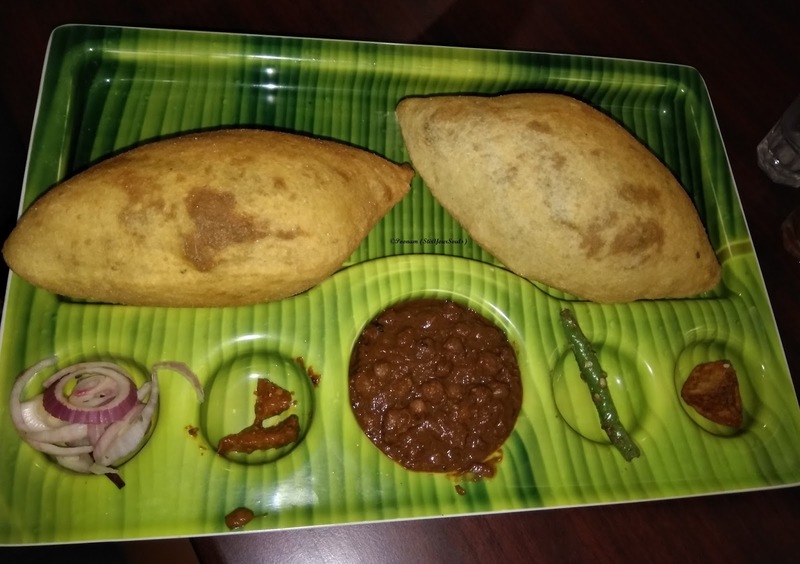 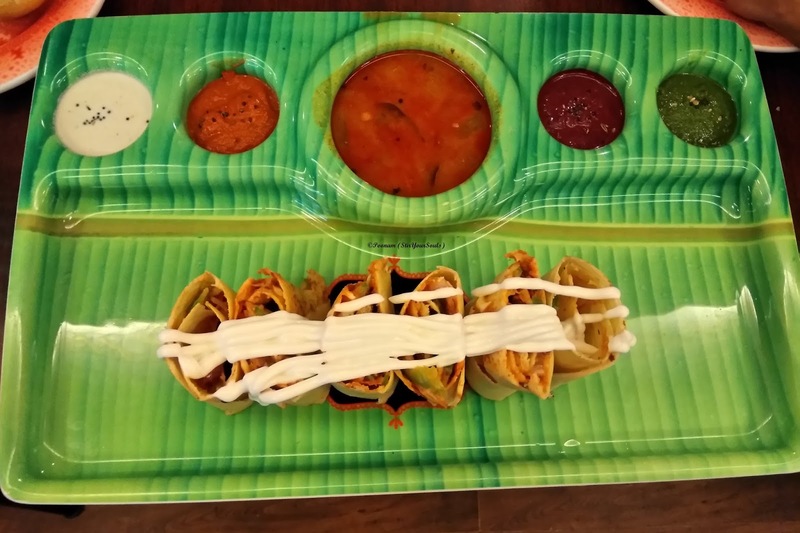 Imly, Rajendra Place encompasses the essence of a train journey with various Routes on their Menu corresponding to various states (regions) of the Indian Subcontinent. 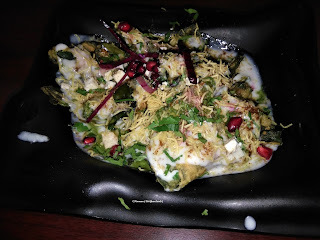 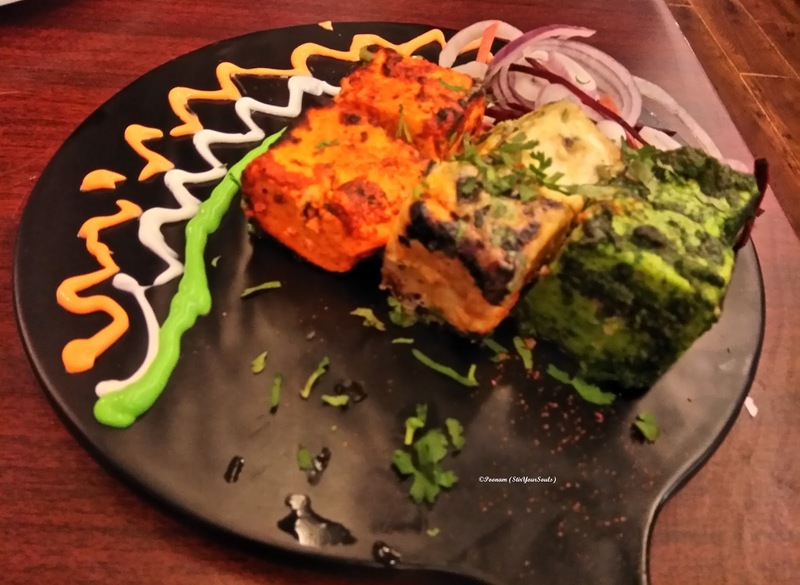 With Indian food at the helm, the fact that works in Imly's favor are that all of it is interestingly presented and economically priced. 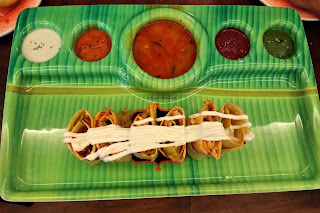 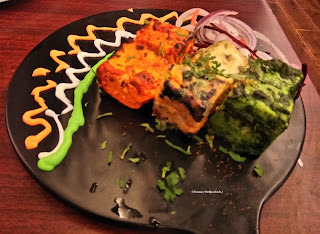 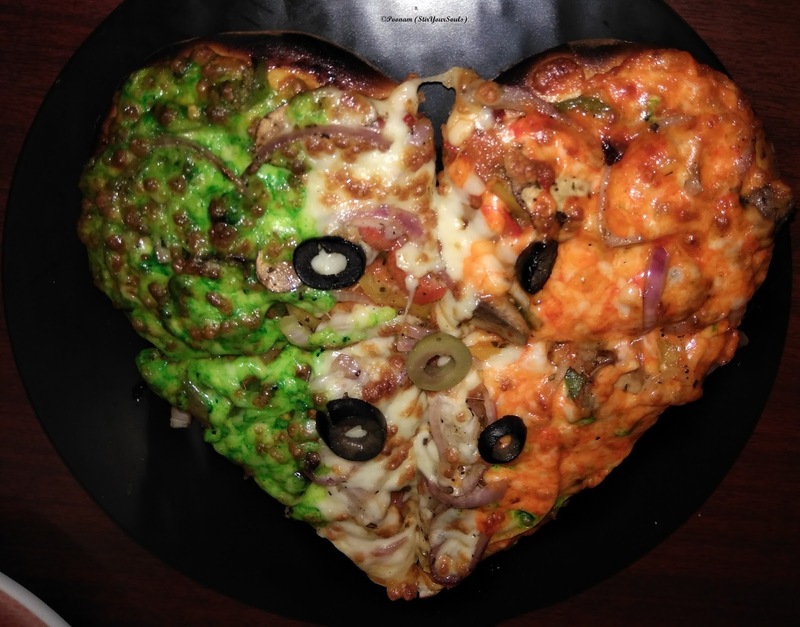 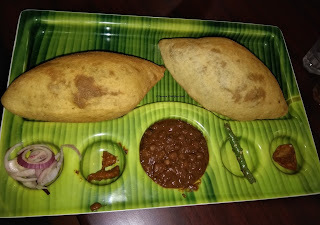 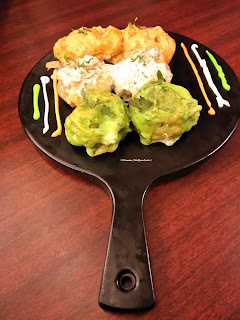 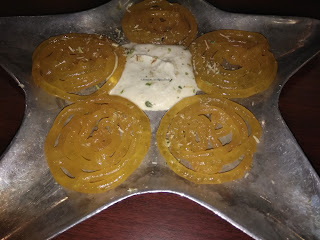 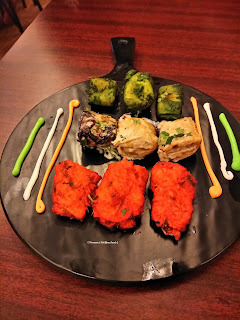 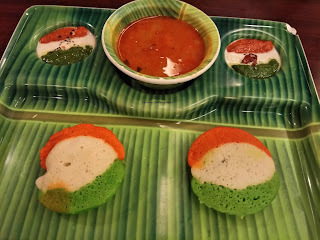 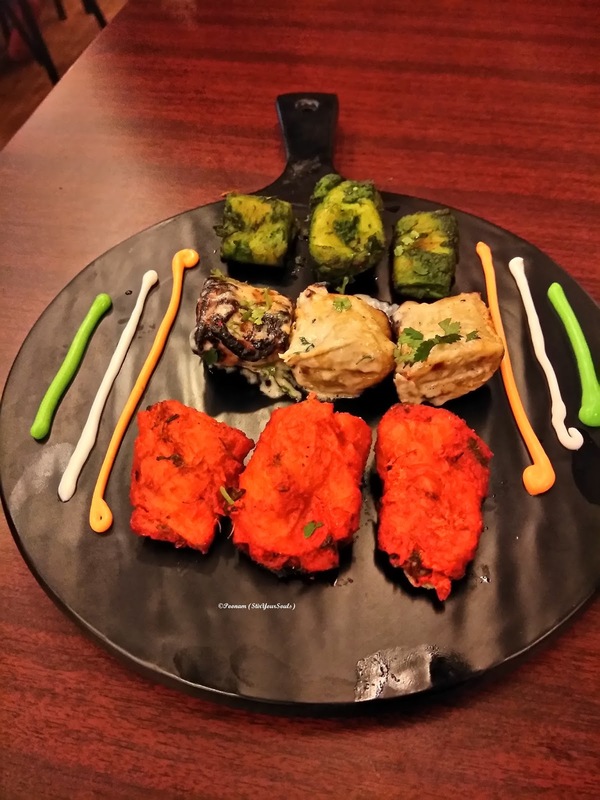 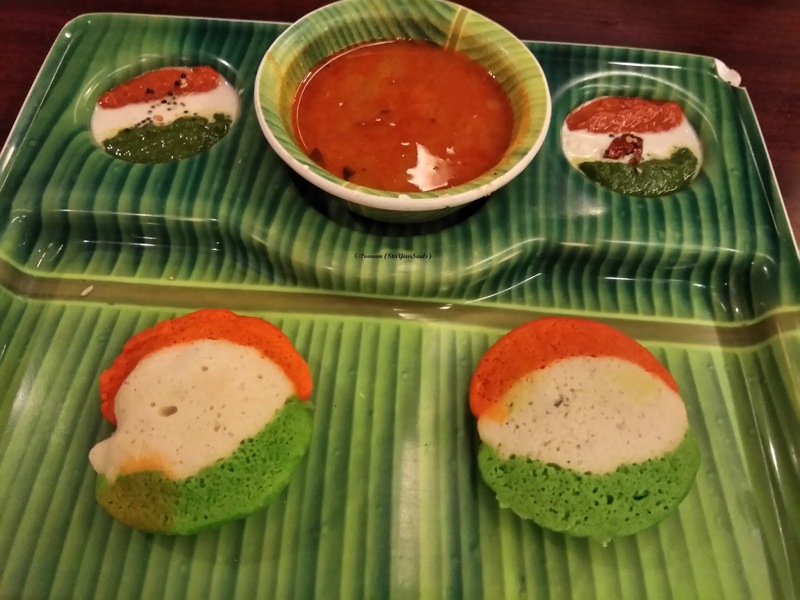 The outlet had donned the colors of the Tricolor on the occasion of R-Day and the same was visible not only in its decor but also the presentation of the dishes. 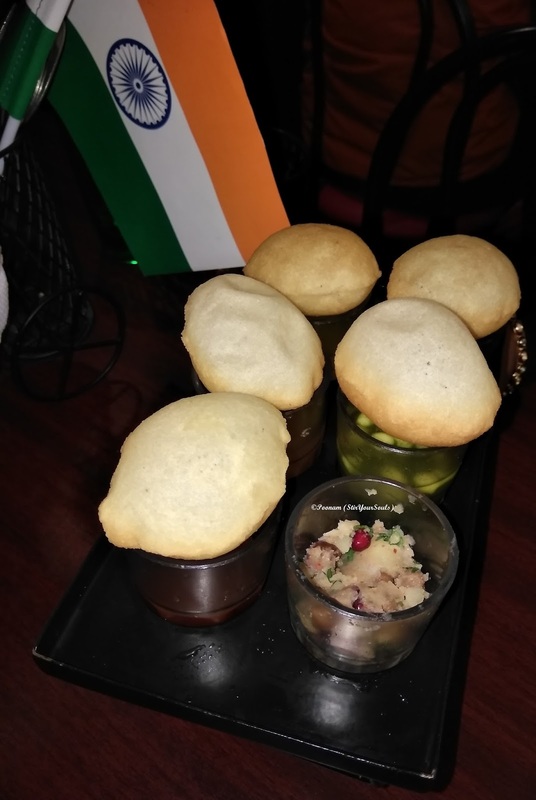 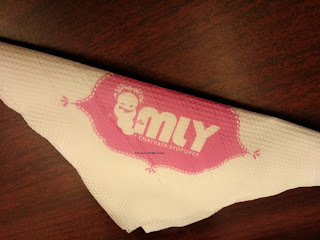 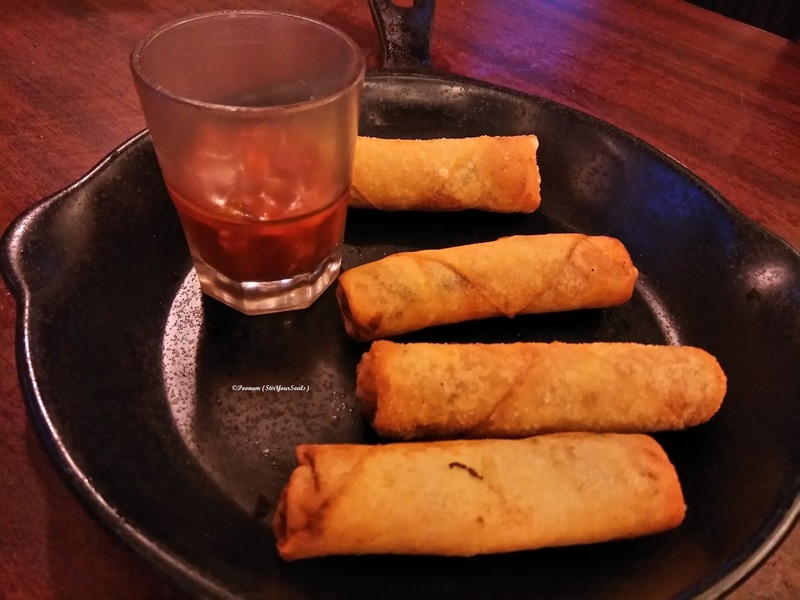 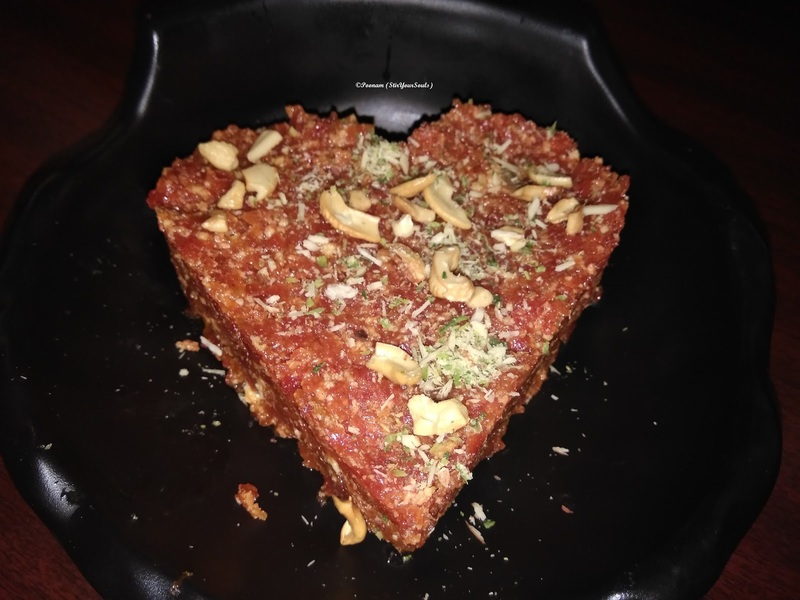 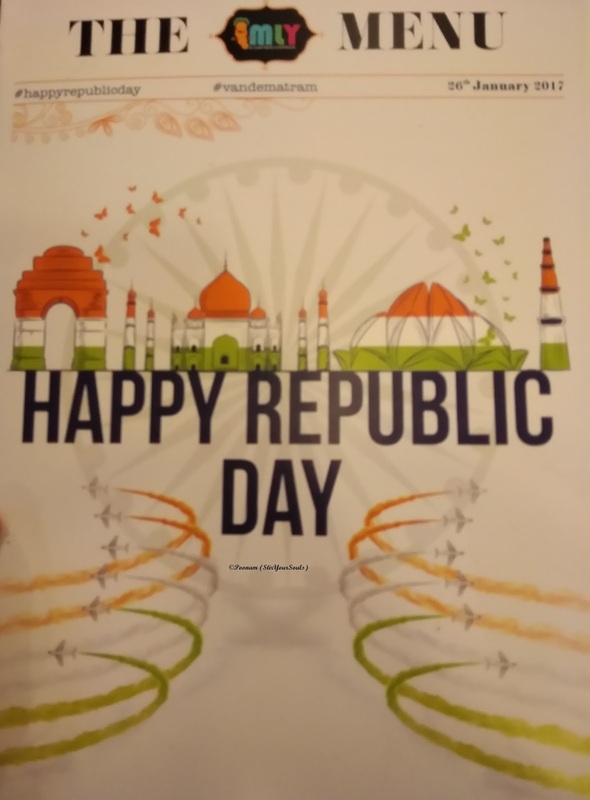 Here's what all was presented by Imly as a token of their love for food and that of respect for the dutiful servicemen of the Armed Forces, with their Republic Day Special Menu. 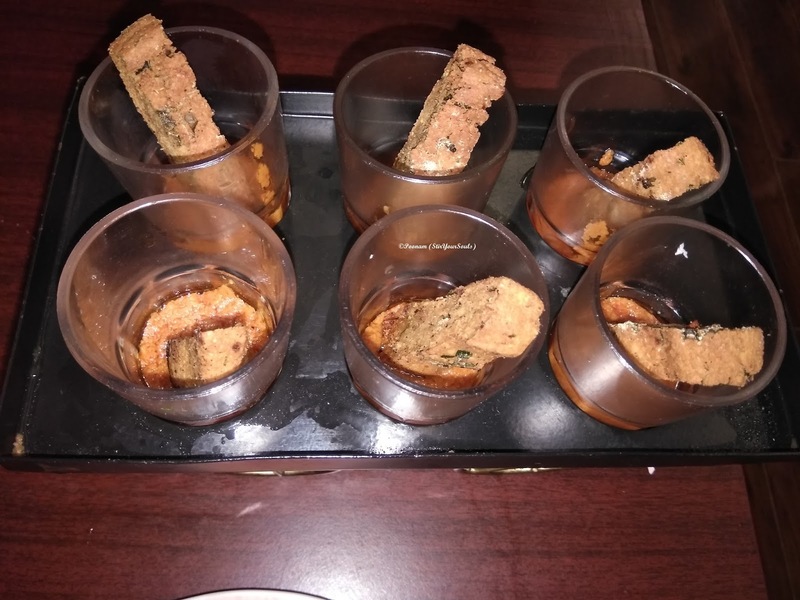 A special mention to their desserts that stole the show with their impeccable presentation and delicious taste.